I would like to meet someone who never makes lists. Do you exist? With the up-to-date ability to make lists on smart phones, computers, etc. it is hard to imagine that even list scoffers don’t partake. I have multiple lists going all the time, although I have never made a list of my lists. There are priorities associated with each list: ‘to do today’, long range planning to schedule appointments, a list for the mechanic about car issues, guest lists and gift lists, grocery lists and lists of recommended books and movies. I have pads of lined paper in all sizes on which to make lists. I also use unlined paper, the back of envelopes and the Notes app on my phone. As a lifelong grocery shopper, I have to say that a grocery list on my phone doesn’t work for me. The phone keeps shutting down, so I have to wake it up, over and over. Also I don’t carry it in my hand – how can you reach for food or packages with one hand occupied? – so I have to take it out of my pocket all the time. I also keep lists on this here computer, especially long lists and lists that need to have information updated frequently. Mostly I write lists in pencil, so that I can keep them neat, if changes are necessary. Occasionally ink is fine, but I will generally seek out a pencil before using a marker or other odd writing implement. Most of the time, things are crossed off, as they are accomplished. I’ve experimented with erasing each finished task, but then I missed the pleasure of seeing exactly what I had done. There was just a piece of paper with eraser crumbs and ghost writing on it. Nah, I need a little more feedback, approbation, you know? Sometimes the quantity of lists, or half completed lists becomes chaotic. Then I have the opportunity to rework the lists by combining and reprioritizing. As time passes, I discover that some ‘to do’ items can become more urgent, or they can slip out of the picture altogether. And then there is the disposal of lists. There is a certain satisfaction in crumpling up the paper into a ball and tossing it across the room, into the recycle bin. The eternal question is whether list keeping reduces stress or adds to stress. If trying to remember things, trying to carry too much in my head stresses me out, then a list is good. It can take up the burden. However, listed items become ‘shoulds’ far too often. They sit there on the paper – where I wrote them – and they shake their fingers at me, scolding. This is not right. When I was younger and trusted my memory more, I would sometimes try not making a list and just do whatever came to mind in whatever order it arrived. That was way before becoming a mother. ORIGIN: Middle English, from obsolete list [appetite, desire] + -less . a set of items considered as being in the same category or having a particular order of priority. ORIGIN: late 16th century, from French liste, of Germanic origin. (often be listed) include or enter in a list. ORIGIN: early 17th century, of unknown origin. ORIGIN: Old English lystan (verb), of Germanic origin, from a base meaning, pleasure. Okay, there we have it. I think? Old English maybe, or Germanic or French or unknown in origin. Obsolete, maybe or perhaps early 17th century. Maybe having to do, originally, linguistically, with appetite, desire, inclination or even pleasure. Hmm. Does that relate at all to how I/we think of or use lists today? 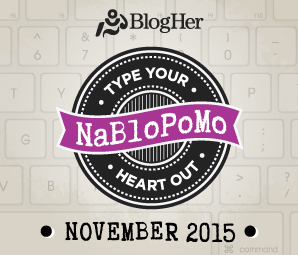 This entry was posted in Food, Writing and tagged lists, NaBloPoMo 2015 by Assembling a Cooking Life. Bookmark the permalink. You do exist! And there is life-after-lists. That is exciting news!